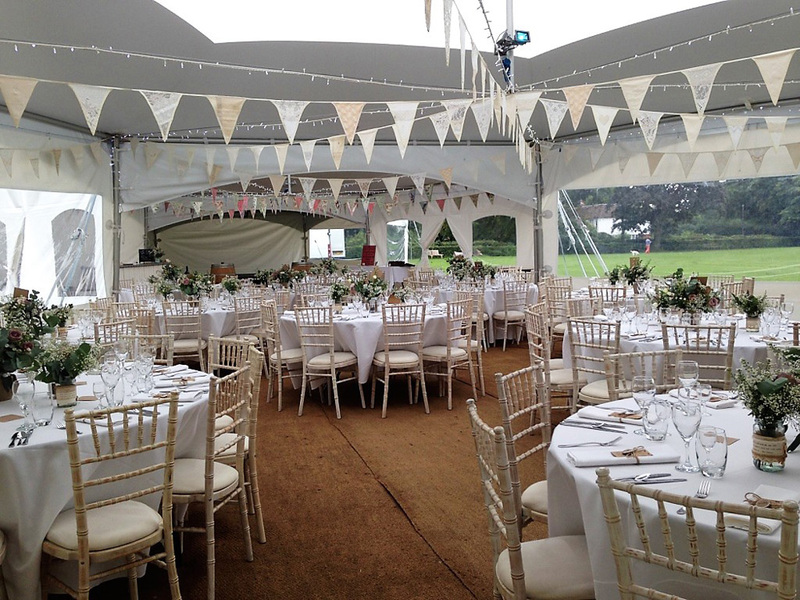 Capri marquees are ideal for the wedding with a difference the unique and stylish marquee eliminate guy ropes and linings which hide the rigid frame of a traditional marquee. 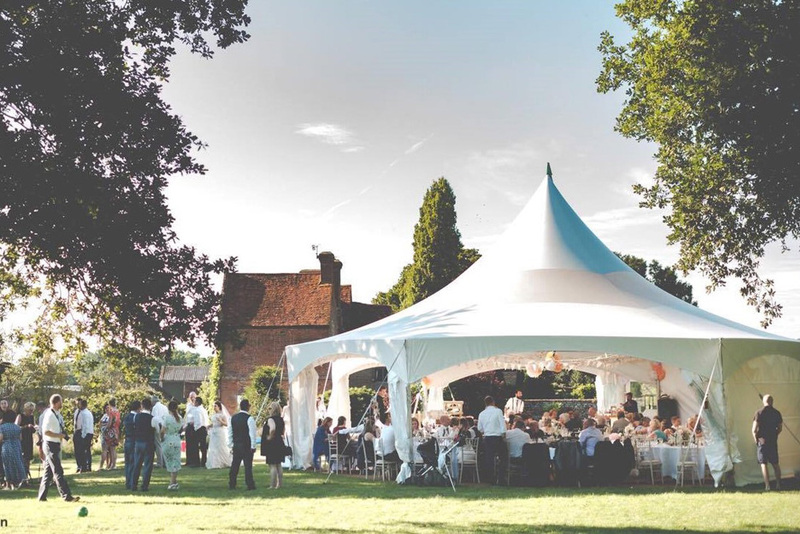 Matrix marquees maximise your space and best of all, they add a touch of affordable elegance to any wedding while providing endless flexibility to decorate in the clients preferred style. 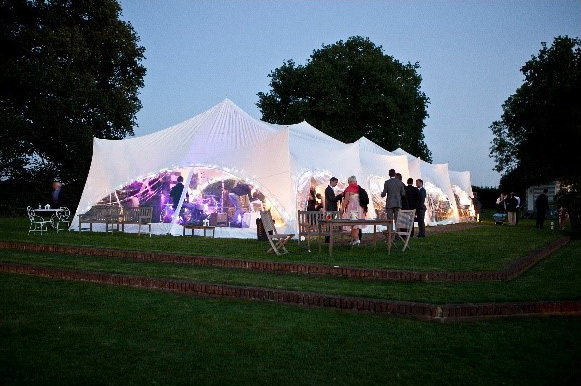 The Capri is a marquee your wedding guests will remember and comment on for a very long time after the event. Wedding Package for 80 seated guests £1990. Example Wedding Package for 80 seated guests £1990. We have several sizes of marquee’s, the largest individual will accommodate 100 people and when linking them together, they can easily accommodate up 200 people. 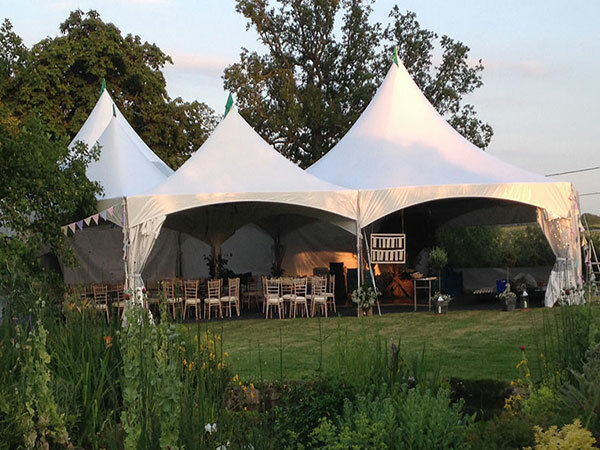 These marquees can be erected on any lawn or soft ground and make the most of a special location.